Meet your sports bra soul mate. It takes reliable support seriously. 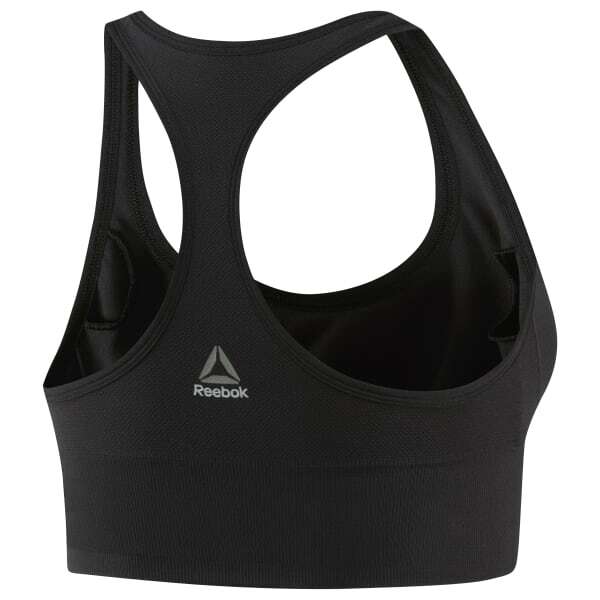 Resilient fabric helps hold firm up front, while skinny racerback straps help ease shoulder mobility. Speedwick technology helps wick moisture, and a bottom band offers a stay-put fit during training sessions.